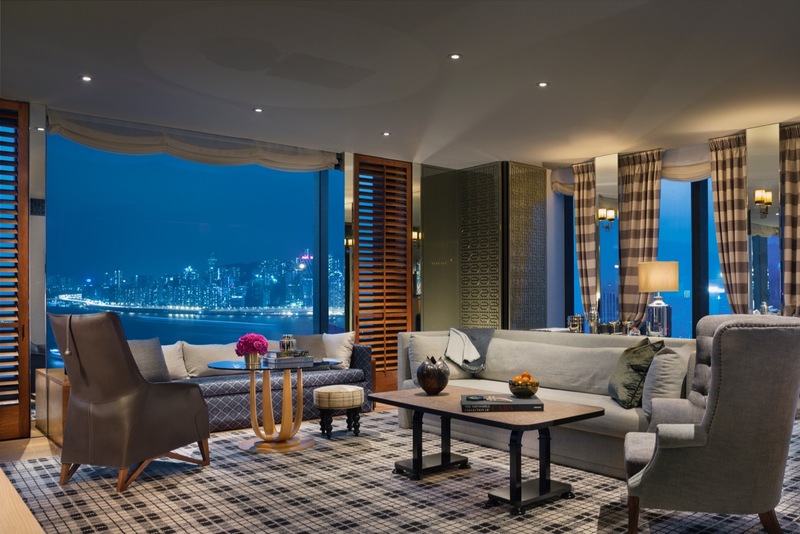 Rosewood Hong Kong is now open in the heart of the Victoria Dockside arts and design district on the shores of Victoria Harbour. Situated on one of Hong Kong’s most significant waterfront locations in Tsim Sha Tsui — Kowloon’s dynamic, culturally compelling heart — the property is set to become a grand icon for the city, celebrating the area’s role as Hong Kong’s new creative and cultural epicentre. 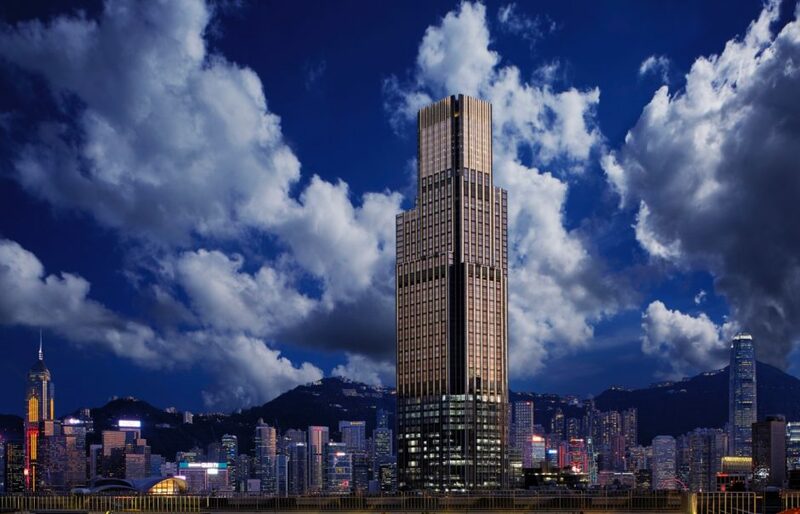 The opening of Rosewood Hong Kong marks the 26th international property for Rosewood Hotels & Resorts, solidifying its stature as one of the world’s most dynamic hotel brands and leader in global style. Rosewood’s opening in Hong Kong marks the evolution of another meaningful historic legacy. The site is the former Holt’s Wharf, dating back to 1910, which was subsequently acquired and developed into New World Centre, a lifestyle magnet for the city in the 1980s, which holds a unique place in the hearts and minds of local residents as a place of discovery and wonderment. 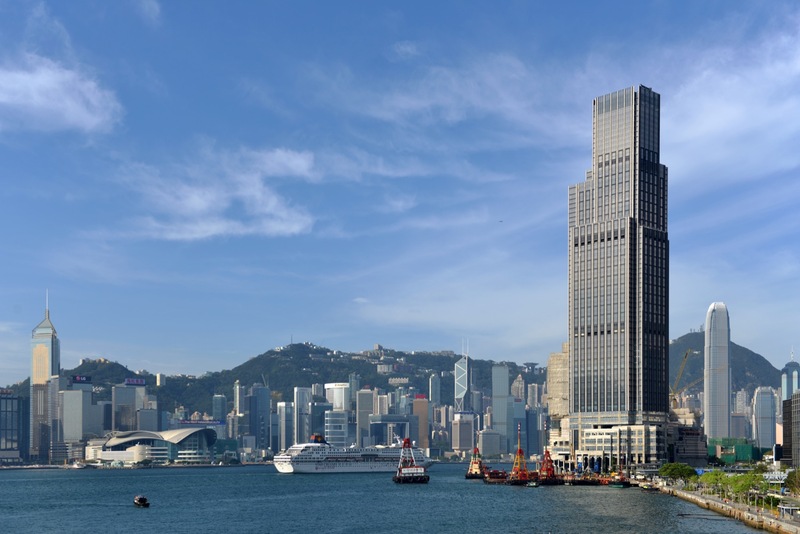 New World Centre – a proud expression of Hong Kong’s transition to modernity and establishment as a regional business hub – was the creation of Dr. Cheng Yu-tung and Dr. Henry Cheng, the grandfather and father (respectively) of Rosewood Hotel Group Chief Executive Officer, Sonia Cheng. The Kohn Pedersen Fox-designed, 65-storey exterior pays homage to the city’s impressive verticality. In lush counterpoint are the beautifully landscaped lawn, verdant gardens and terraces with spellbinding harbour views. Renowned hospitality designer Tony Chi of New York studio tonychi, has created a complete and immersive experience for a new age of elevated residential hotel living. 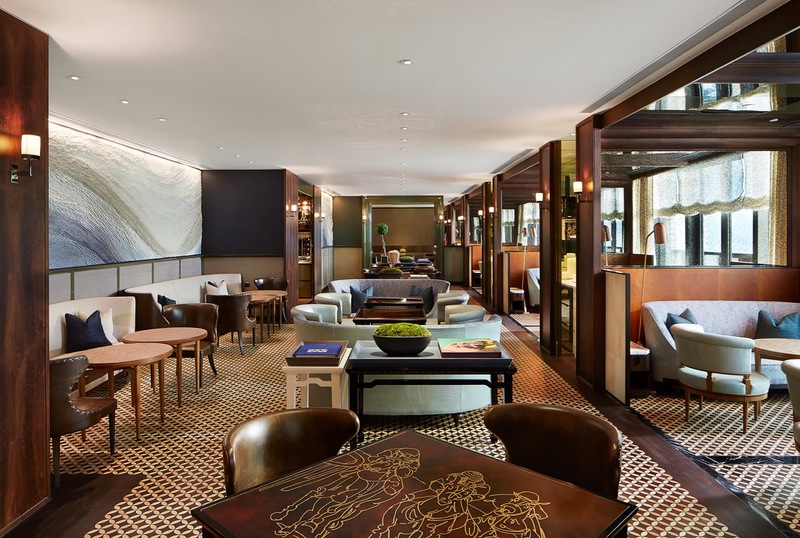 An homage to Rosewood’s origins as an aristocratic manor, Chi has conceived the entire hotel as a “vertical estate” which incorporates significant green spaces and outdoor areas throughout, creating openness and room to breathe as a defining element of the Rosewood Hong Kong guest journey. As visitors transition from the harbourside thoroughfare Salisbury Road by cobblestone drive, the urban din falls away against a backdrop of oversized bonsai, lush topiary and a serene forecourt that fronting the harbour. Guests are greeted by a significant semi-abstract bronze sculpture by the late British sculptor Henry Moore. “Three Piece Reclining Figure, Draped” in the courtyard, featuring one of the artist’s key themes — the human figure in repose – is a mid-century sculptural masterpiece. At the hotel’s entrance on the second floor, a magnificent bronze façade frames the lobby doors with Rosewood Hong Kong’s signature “seal of the house” on the door handles, symbolising the privacy, intimacy and exclusivity that await within. 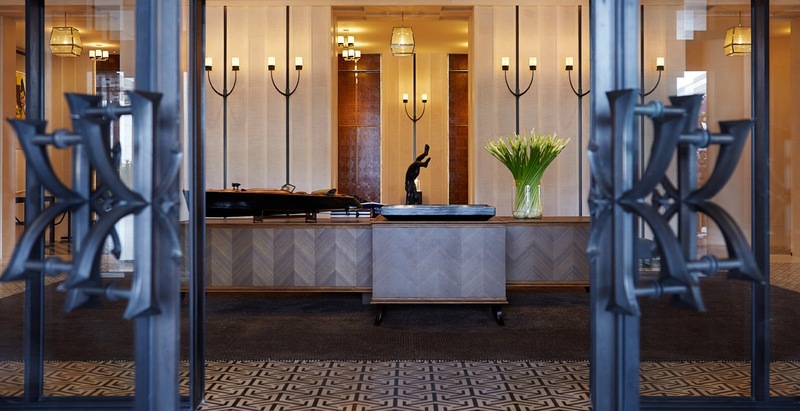 Entering the statuesque yet intimate lobby is akin to entering a refined private residence. At reception, a large window overlooks an ornamental bonsai tree, framing the harbour beyond. Two sizeable contemporary works by American artist Joe Bradley surround the lobby, with their vaulted limestone walls and marbles floors lending an air of soulful, storied elegance. An auxiliary guest lobby evokes the grand rooms of Europe’s stately homes, showcasing oak marquetry ceiling panels, coconut wood columns and a revelatory art moment by contemporary Indian female artist Bharti Kerr. Entitled “The Skin Speaks a Language Not its Own,” the life-sized sculpture of an elephant lying splendidly in repose fills the room with a powerful, emotive presence. 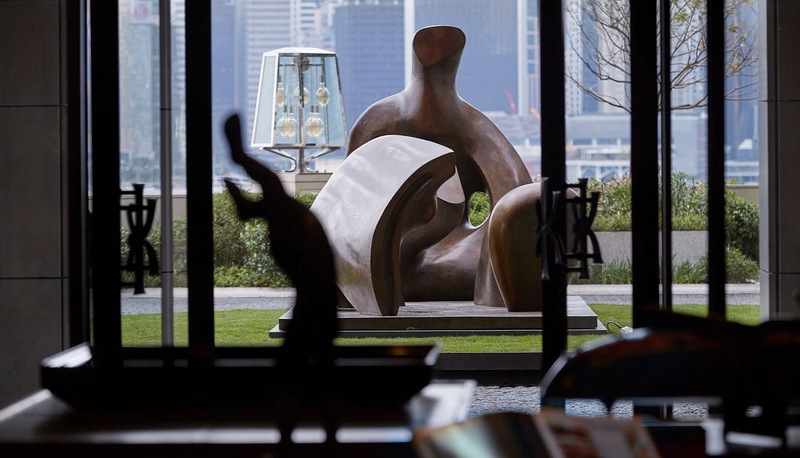 Masterful and important art throughout the property includes works by Henry Moore, British artist Damien Hirst, as well as China’s Wang Keping and homegrown Hong Kong artist Wilson Shieh. Significant works are juxtaposed with an eclectic, whimsical approach to decorative arts throughout the hotel. 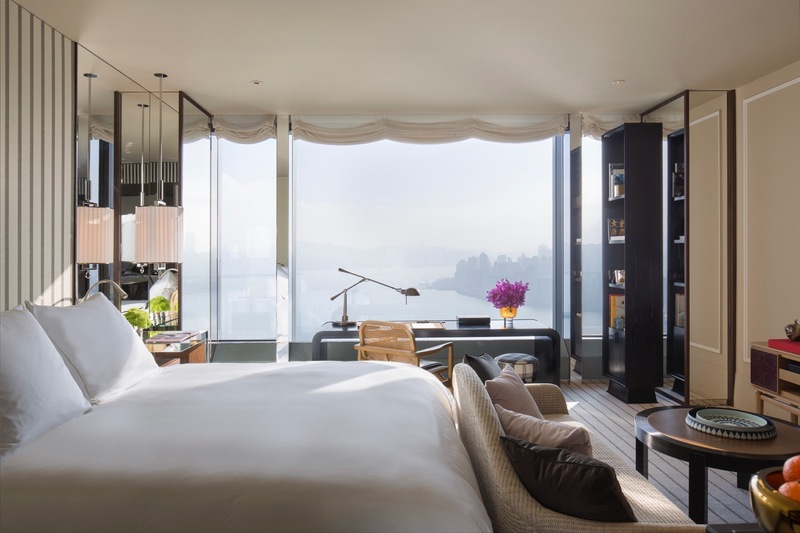 More than 80 per cent of Rosewood Hong Kong’s rooms boast standout harbour vistas, with the remainder featuring verdant Kowloon Peak views overlooking the fabled Lion Rock and distant, scenic mountains. There are dedicated, generous “salons” on each guestroom floor from the 24th level up. Each features carefully selected objets that reflect Hong Kong’s richly layered past. Guests may linger over a book with a fine tea or a cocktail before retiring to a guestroom where lovingly curated treasures and vintage collectables blend mid-century sophistication and fine modern accents with haute Chinoiserie touches. 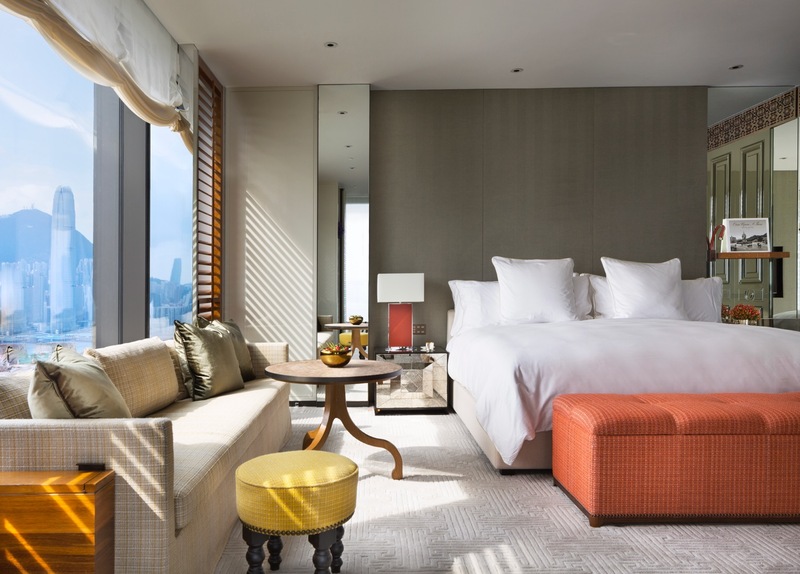 Generous space and residential luxury are the hallmarks of Rosewood’s 322 light-filled guestrooms, which start at 53 square metres (570 square feet) and include the Grand Harbourview Rooms, boasting panoramic views of Hong Kong Island. 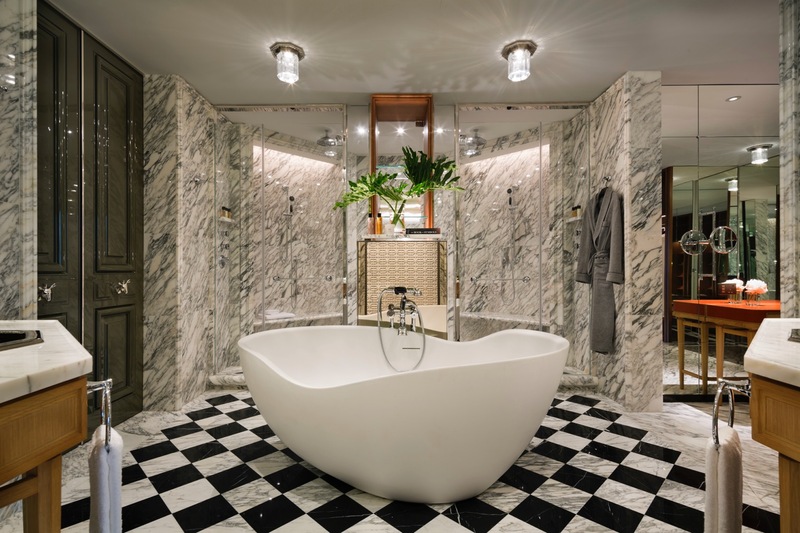 Elevated homely comforts include eclectic curios and objets d’art, curated interior details, considered amenities, generous marble bathrooms with freestanding soaking bath and separate, freestanding vanities with hammered copper sinks and twin showers, as well as spacious walk-in closets. Sumptuous textures and finishes weave a tactile tapestry into each and every room. Elegant lacquer panels feature a contemporary take on the octagonal Chinese bagua symbol — a motif that subtly appears on property’s floors, ceilings, walls and doors – and is juxtaposed with chequered Loro Piana navy fine wool wall covering for a sartorial touch. Rosewood Hong Kong is home to the highest number of suites of any Hong Kong luxury hotel and also some of the largest. The 91 suites, starting from 92 square metres (990 square feet), offer carefully curated stays, bespoke services, and inviting, artful interiors, with layered vignettes of carefully chosen custom furnishings that lend an air of having been lovingly acquired over time. Contemporary artworks with an accent on Hong Kong’s art talents are stylishly placed. Suite guests enjoy exclusive services including access to Rosewood’s Manor Club executive lounge, personal butler service, monogrammed pillow cases and robes, along with personalised amenities from arrival to departure. 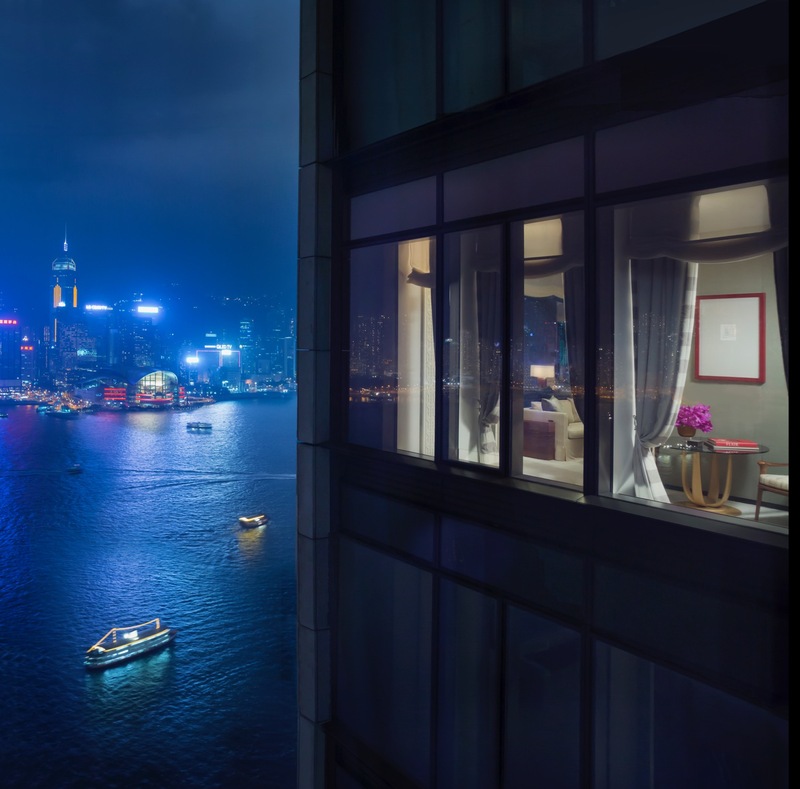 On each floor, the 123-square-metre (1,323-square-foot) Grand Harbour Corner Suites offer glittering panoramic harbour views from every vantage point. In addition, Rosewood Hong Kong features 18 of the most outstanding signature suites in the metropolis, each with its own unique character to meet the diverse needs of today’s sophisticated travellers. The crowning jewel amongst them, the superlative 1,000-square-metre (10,764-square-foot) Harbour House floor boasts spectacular views from private sky terraces on the 57th level and unique décor and design. Enhancing the lavish interiors, a garden oasis features harbour view sun decks and private lap pools. Located on the same floor, the Harbour House and Garden House can be combined, offering an entirely private five-bedroom retreat complete with state-of-the-art private gym. Extended stays for the ultimate in fuss-free city living will be amply catered to by the exclusive Rosewood Residences, set to launch this Spring. Introducing 186 spacious, inspired interiors and uniquely positioned luxury accommodations designed for longer-term stays, the Rosewood Residences Hong Kong will offer a separate private entrance and dedicated 53rd floor club facilities, including an indoor swimming pool and private fitness centre, along with a host of special services and amenities for guests. With its prime position on the 40th floor affording spellbinding Victoria Harbour views and multiple outdoor terraces, Rosewood’s signature executive lounge concept, the Manor Club, extends a sense of residential refinement to suite stays. Offering 24-hour service in an exclusive space, all-encompassing personalised services include elegant complimentary food presentations and handcrafted beverages throughout the day, a distinguished bar overlooking the harbour, a games room with pool table, as well as a host of auxiliary amenities. Each of Rosewood Hong Kong’s eight dining concepts possesses a distinctive character and showcases creativity and a contemporary interpretation of accessible gastronomy and refined beverage craft. The hotel’s culinary programme is characterised by an accent on local cottage producers and seasonality via its Partners in Provenance programme.